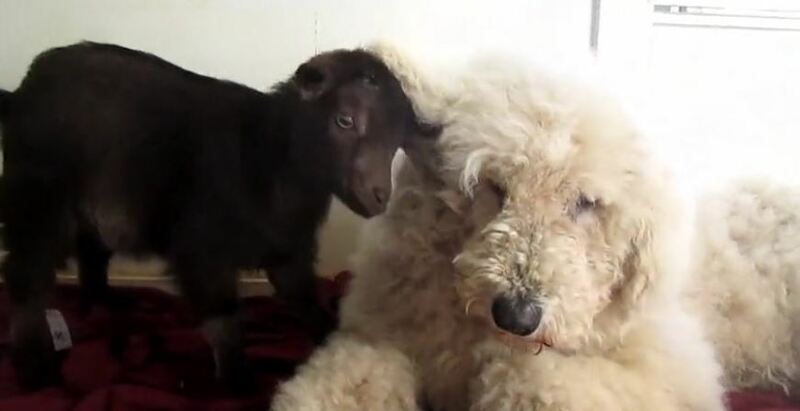 Peppa Lass is a little Nigerian Dwarf goat who clearly has found a best friend in Duchess the dog. Watch as Peppa Lass energetically plays, bumps, and even jumps on top of Duchess. Now that is a precious moment! Credit to ‘britneydenman92’.